Chinese New Year falls on January 23rd this Year. And, in honor of Chinese New Year I put together a list of crafts just about the Chinese New Year. You will find that most of them are Dragon Crafts and you might wonder why….. well, I will tell you why. This year is the Year of the Dragon. So, to honor that fact the majority of the crafts I have listed here will be Dragon Crafts. Not all of them…. there are plenty of fun other crafts that have nothing to do with Dragons. 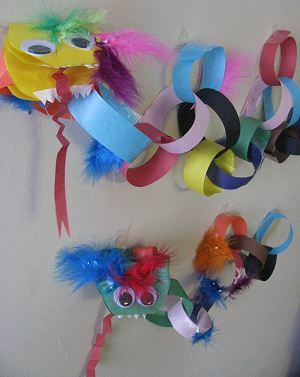 So, check out the post and pick a few Chinese New Year Crafts to do with the kids….. they are sure to love them. So, let’s get started. Here is an adorable dragon perfect for this years Chinese New Years. This is the mini sized version of the huge size dragon they use in parades for Chinese New Years. Check out FamilyFun for all the crafting details. 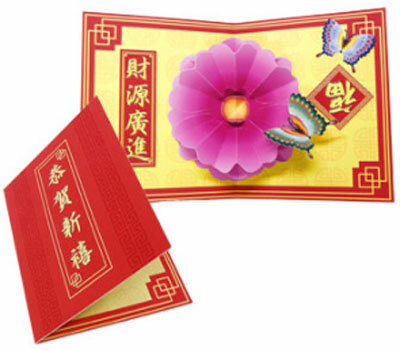 Isn’t this Chinese Pop-Up Greeting card gorgeous? I think it is really beautiful. Imagine giving this to someone to celebrate the Chinese New Year. Go to FreePaperCraftTemplate for all the details on how to print off this free template. 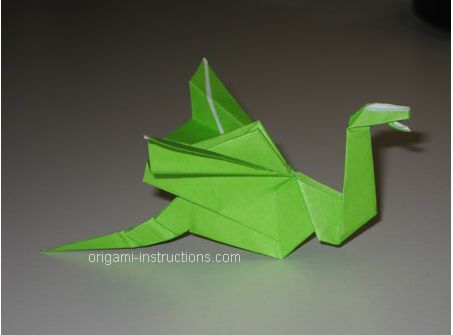 Since this Chinese New Year is the year of the Dragon how could I not include an Origami Dragon in this post. And, look how awesome this Origami Dragon turns out. You can get the full instructions for this Origami by going to Origami-Instructions. Fish is a very popular dish on Chinese New year. Fish is a sign of prosperity…. so it is very common to see people eating fish on Chinese New Year. With that being said I thought it was a good idea to include Fish in this Chinese New Year Post. Go to Julie K in Taiwan for all the craft details. 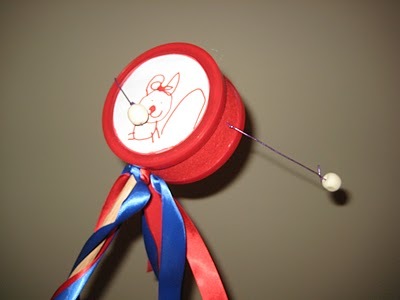 Here is a cute craft for the youngest of crafters. 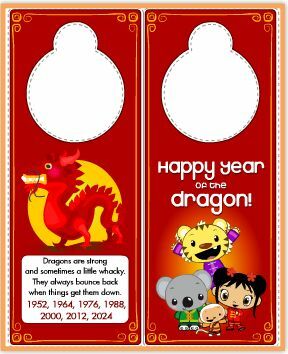 If you go to NickJr they show you how to make a simple Chinese Dragon Door Hanger that is perfect for any kid’s room. 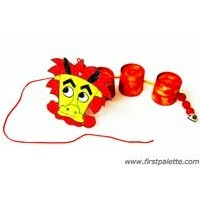 Plus, making this craft with them is the perfect time to explain to your kids a little bit about the Chinese New Year. Now, isn’t this Dragon Mask incredible? 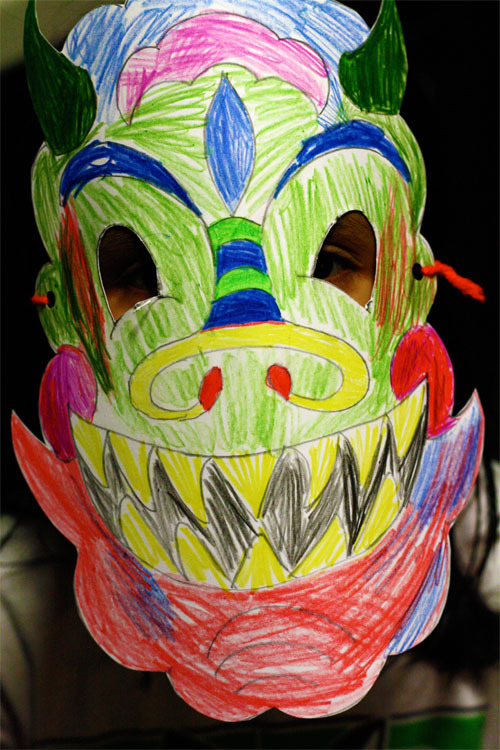 What little one wouldn’t love wearing this Dragon Mask all over the house. After all, children love dressing up. Find all the Dragon Mask “how-to’s” over at AlphaMom. This is such a great Chinese New Year craft!! 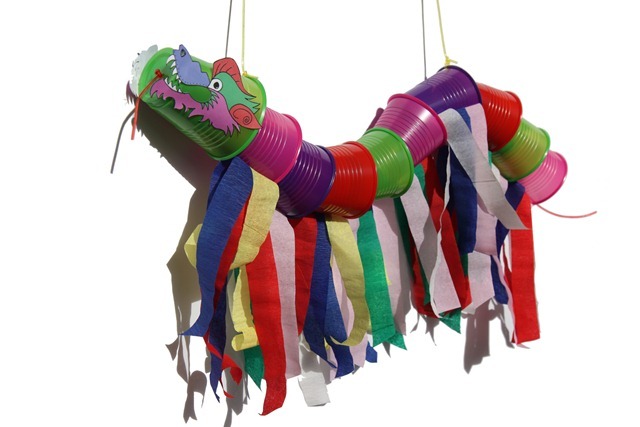 Here is a great way to make a Dragon for Chinese New Year….. made out of paper cups. How awesome is that?! It turns out so cute too. This is a great way to teach your children about the Chinese culture. Make sure to check out the craft in its entirety over at FreeKidsCrafts. Here is a fun toy for the Chinese New Year. Not only fun to play with…. but also fun to make. This toy is a great way to make lots of noise during the Chinese New Year. Make sure to check out 4CrazyKings for all the fun details. 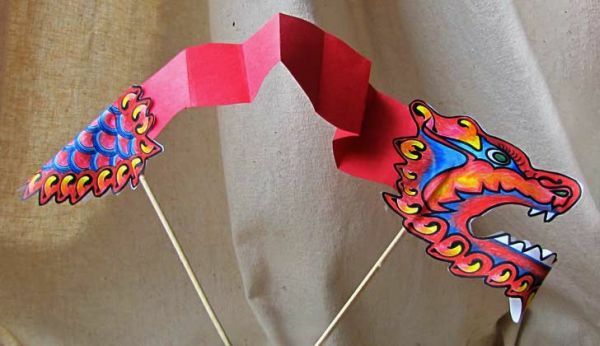 This is a fun craft for the Chinese New Year. This Paper Dragon turns out so beautiful…. I just love the colors. I found this craft over at CraftJr and I just love it. She explains how this craft is really so easy that a toddler can do it. And, trust me…. the kids will love maneuvering around the dragon with the sticks. 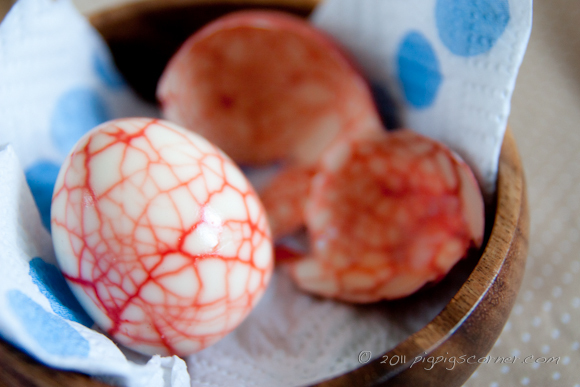 This Marbled Egg is an extremely popular Chinese snack…. and it is extremely popular during Chinese New Year as the egg represents fertility. To get this marbled effect you first crack the egg and then simmer the egg in colored liquid. Get the full details at Pig Pigs Corner. 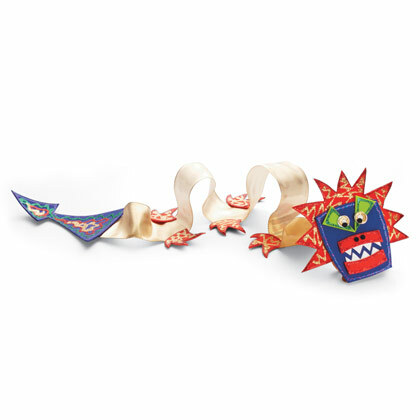 One of the easiest crafts to teach a young child is how to make a paper chain. So, let’s use that technique to make a Paper Dragon. The kids will have such a fun time making this craft. 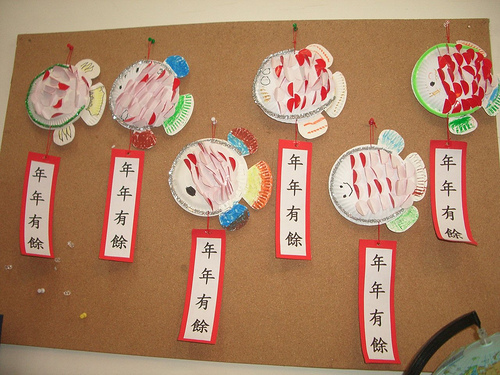 The Chinese tradition is a rich tradition….. why not show this to your kids by creating this craft. Check out NaturallyEducational for all the craft details. Okay, I officially love this craft…. I just love how it turns out. It turns out so colorful and festive…. just like any New year should be. Check out JellyFishJelly for the craft details and put this Flying Dragon Puppet together. I don’t know what your kids will love more…. putting the craft together or playing with the puppet. Thank you for featuring my Dragon Puppet!